it runs natively on both PPC and Intel based Macs (Universal Binary),requires Mac OS X 10.4 or later. You can use the SYS for start your proggy. 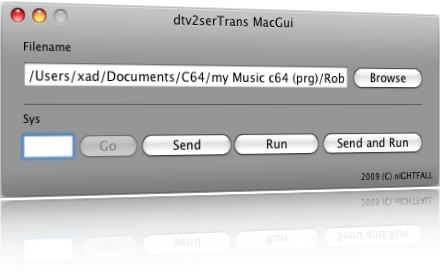 Preferences for Enable/Disable Debug Windows and for configure the dtv2sertrans path.